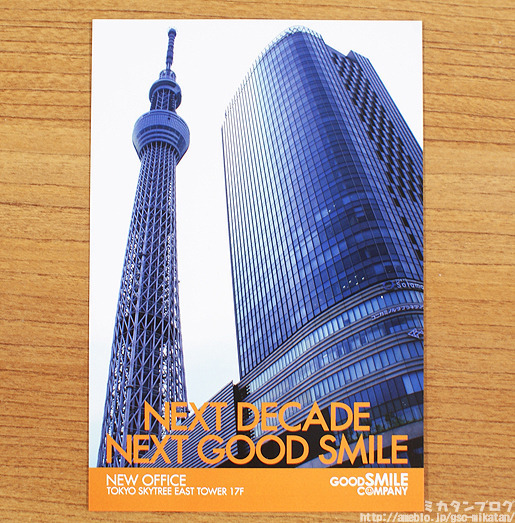 Good Smile Offices are Moving to the 17th Floor of the Tokyo Skytree! The Blog Needs a New Title! ・ The closest station is Oshiage Station. 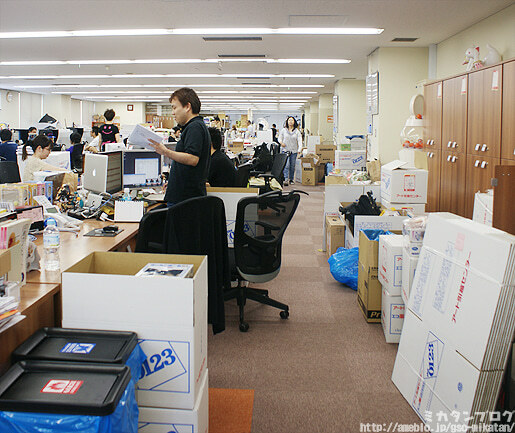 ・ You can get to the offices without ever going outside of the station. ・ You need to switch elevators half way up. ・ You need to keep a security card for access. ・ You seem to be surrounded by glass inside. ・ The company president’s room has glass walls. ・ The Skytree is big. ・ People are worried about getting to work late. ・ The company president is already looking into the next move. Back at the old office everything is being packed away! It’s been around two years that we have been using this building for the offices, and I had a lot less junk to sift through than I expected – I managed to pack everything up quite quickly. – Move Complete! 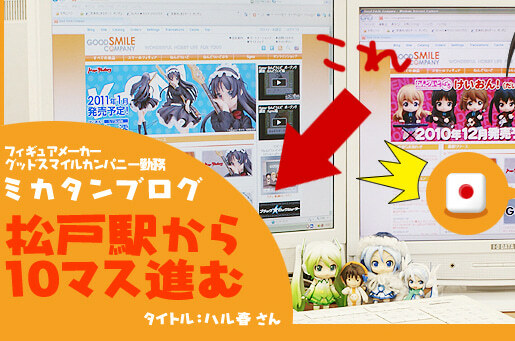 The New Good Smile Company Offices! I’m looking for a new blog title! 3 minute walk from Matsudo Station. 2 minute jog from Matsudo Station. 1 minute run from Matsudo Station. Seen we’ve moved quite far from Matsudo station now, the title needs to take on a new theme! have a sense of distance! The deadline is the 9th July! However, I’ve also decided to add some forbidden words this time around! These words kept coming up in previous entries, and I’d rather not have them this time! As much as I’d love to keep ‘Matsudo Station’ to keep the pattern of the blog, I feel like its a time for a change now, so I’ve decided to block that word out as well… Don’t get me wrong though, I still love Matsudo and I’ll still be going there sometimes – my house is close and Indotei is still there!! The entrant whose title I select will be getting a little prize along with ten entries selected at random! ／　　　─　 　 ─＼　　"Oshiage... Solamachi..."
I’ll be making the final selection for the blog title, so if you have an interesting idea then please send them through! I’ll looking forward to everyone’s entries! !